This blog grew out of my agonizing reality of being mentally and physically sexually harassed from November, 1976 to present day. And my relentless search for justice. 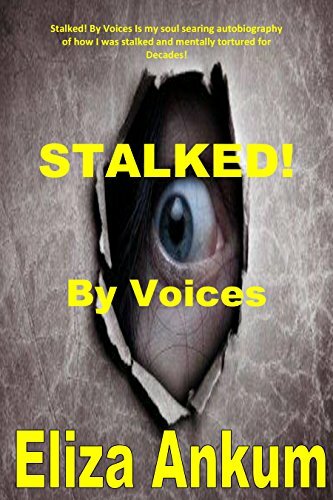 I have another blog, https://stalkedbyvoices.wordpress.com wherein I detail the brutal and inhumane way in which I was treated for almost 40 years. And even today, in this time of #MeToo no justice was given me. So, I decided to take it, wrench it from the hands of those who would deny me it by way of this blog. I do not mince words and neither will I deny the truth. I have sought help from the Police more times than I’d care to mention. In the seventies, I was an irrational, hysterical woman inventing people following me in order to grab attention. They only attention I received was being forced to receive psychiatric treatment that included antipsychotic drugs. And because of that, the stalking ratcheted up into high gear. I lost faith in myself and my mind, jobs, friends, lovers. Basically, everything that I held dear. The only thing that stayed, was the stalkers. I know now, because of the #MeToo Movement’s exposure of what was really going on, that is was OK, with the men in authority, to sexually harass and humiliate a woman. And especially, a Black woman. In this current time zone, I’m considered crazy because I don’t know enough to go to the cops and report being stalked. But why not try a lawyer? The lawyer’s answer, “Well what do you expect the cops to do?” That was said to me twenty years ago, and it still rings in my ears, today. Because, it’s still perfectly alright for the people stalking me (outside my home, sometimes breaking into my home, following me to the mall, to work, and to Church) to harass me. What’s not alright it seems is for me to insist on justice.